With his emotive Comic Relief 2017 appeal Billy Connolly once again inspired the Parkinson’s community. In the brave, heart-warming clip, he tells viewers he has Parkinson’s and cancer and was greeted with an outpouring of emotion from social media users. By making the charity appearance, he managed to raise the profile of Parkinson’s disease by getting the general public talking. While being one of the most successful comedians in the world, Connolly has also made a significant impact offstage with his charity work. 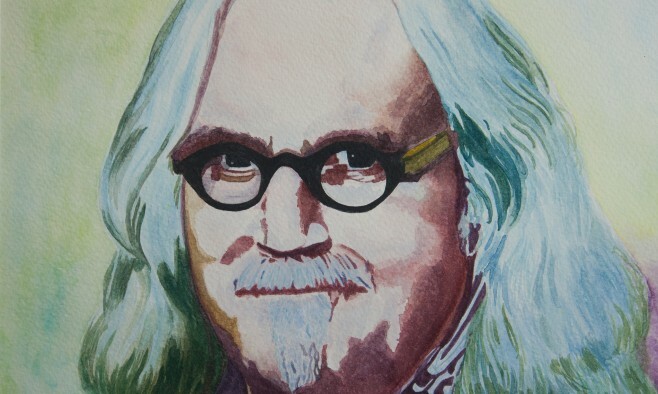 The 74-year-old entertainer, famously nicknamed ‘Big Yin’, has had a long-standing association with Comic Relief. Here we highlight some of his philanthropic contributions to society. Musicians from around the world came together to raise money for the on-going Ethiopian famine, a tragedy that led to an estimated 400,000 deaths. Concerts were held at both London’s Wembley Stadium and the John F Kennedy Arena in Philadelphia, US. An abundance of musical talent played the venue in London including U2, Queen and David Bowie. Connolly, with his usual playful demeanour, took to the stage saying, “Hello to everybody on earth!” before introducing pop icon Elton John. Connolly visited the war-torn nation of Mozambique in Africa to demonstrate how the money raised from Comic Relief was being spent. Displaying his trademark grin, he told viewers how a donated fire engine had made a significant difference to the local fire service. The firemen told Connolly that before receiving the vehicle, whenever there was a fire emergency they would hitchhike there, and then use buckets of water to put out the fires. In a bid to encourage the general public to support Comic Relief, Connolly promised to streak through central London once they raised the first £1 million. Watching Billy run stark naked through the capital proved too tempting for many viewers, as the target was swiftly met and duly surpassed. Despite facing some opposition along the way, with the police even threatening to stop the BBC filming the event, Connolly burst onto Piccadilly Circus, catching unsuspecting tourists off guard and leaving nothing to the imagination. Connolly visited Somalia, Africa, to highlight the terrible conditions at the Hargeisa Hospital in the capital of the self-governing state Somaliland. The clip made for difficult viewing, showing how with so few resources, the hospital struggled to treat those in need. With his compassionate, caring charm Connolly skilfully guided the viewer through this emotional one-hour special. He was appointed as patron to the Celtic Foundation, a charity initiative of Scottish football team Celtic FC. Connolly, a lifelong Celtic fan, was given the role to raise awareness and help motivate others. In the wake of the Queensland floods, which affected over 200,000 Australians, Connolly announced a special charity gig, with all proceeds going to the flood victims. Over the years Connolly’s image has become synonymous with charity work and helping others. This was best symbolised in 2015 when a statue of Connolly was erected in his hometown of Glasgow, Scotland, to encourage the general public to donate to Comic Relief. Passersby could tap their ‘contactless’ cards on Connolly’s pocket and this would donate £1 to the cause.